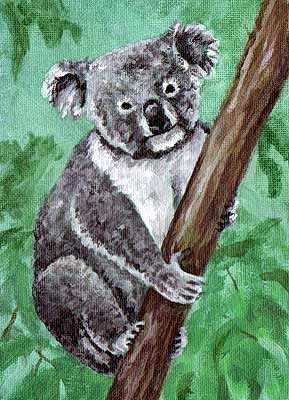 Ever since I watched a tv documentary on koalas, koalas have been floating around in my head. But hey, I don't mind, they are soooo cute! This is a 7x5 inch canvas board acrylic painting of a male koala that seems to be just posing to have his portrait painted.